I was quite pleased how this frame turned out. It's a Simons plain pine moulding that comes ready brushed with ready made dings and fake woodworm tracks. I added an extra bit of distressing by scalloping the edges slightly with a sanding drum on a Dremel, which takes away the neat, straight edges. A wash of Raw Umber applied followed by a waxing. Then I added some splashes of a bilious green mix and finished off with another good waxing with dark wax and wire wool and a good buffing. Could you imagine living with that! 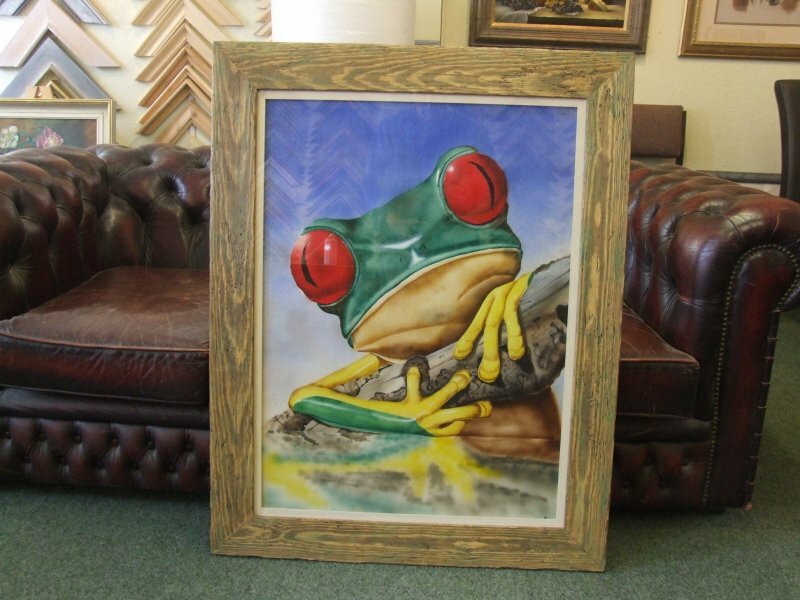 As for the frame, which is a work of art, what is the medium for the green? Yep. That's a frog and a half and no mistake. It's an original painting. Possibly acrylic. It's done on a thin piece of fabric laced over foamcore. Apparently of great sentimental value. 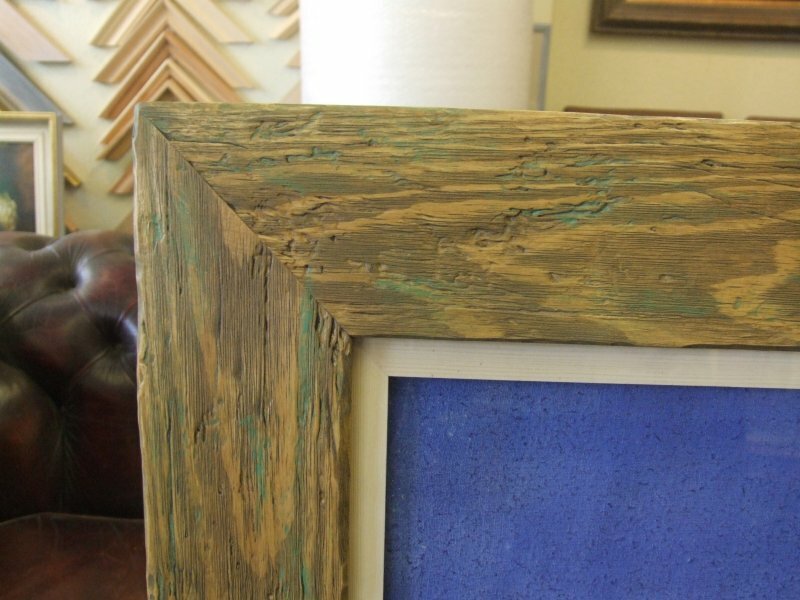 The greeny bits on the frame are acrylic paint. Although practically any green paint would be just as good. prospero wrote: Apparently of great sentimental value. Perhaps her husband before she kissed him ! Good to see some "old school" picture framing.